The middle has gotten a bad rap lately, especially in the political arena, where so many now demand that you be at one extreme or the other. Aaaand we saw how well that worked out last year. Do we really want a replay of the shutdown? 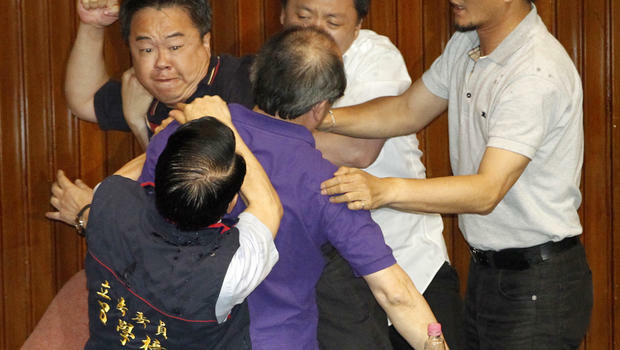 Yes, please, more brawls like this one between Taiwanese legislators. That’ll accomplish a lot. Image from The Associated Press. Strangely (to me, anyway), it’s become a badge of honor to refuse to compromise. Back in the olden days, young whippersnappers, compromise was not a dirty word, and was, in fact, the way to get things done. Eh, not so much, which is why the 113th Congress had passed fewer than 60 laws by the end of calendar year 2013. With about nine months left in this session, it might end up as the least productive Congress ever if it keeps up the same snail’s pace. Way to reach for the stars, fellas. If you lose your seat in November, I’m sure you can probably easily find work as a doorstop or a traffic barricade. 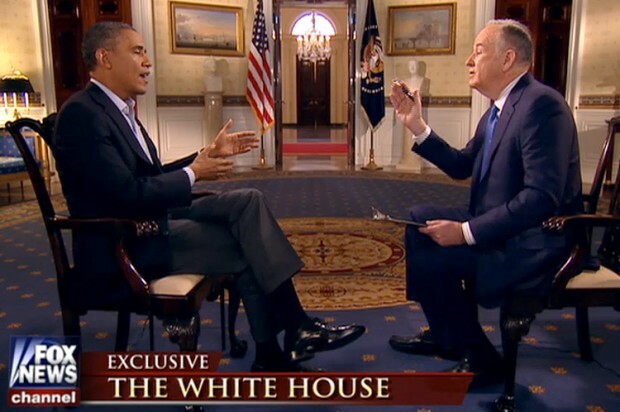 In that very painful Super Bowl interview of Barack Obama by Bill O’Reilly, the notion of Obama being the most liberal president ever was brought up. Well, I’m fairly sure it was … there were so many interruptions by O’Reilly that it was hard at times to keep track, even just reading the transcript. Obama’s answer? Not him. Richard Nixon, though, having begun the Environmental Protection Agency among other things, was probably more liberal, he guessed. And that’s really about all it would be—a guess. Since presidents don’t vote on legislation (and not all presidents had legislative experience before becoming president), political scientists have only publicly stated support or opposition to legislation to rely on. And since media, politics and the world in general have changed in so many ways even over the past 30 years, inferring past presidents’ relative liberalism or conservatism becomes like comparing apples and creme brulee. While both are delicious, the taste, texture and mouth feel (not to mention calorie count) are completely different. 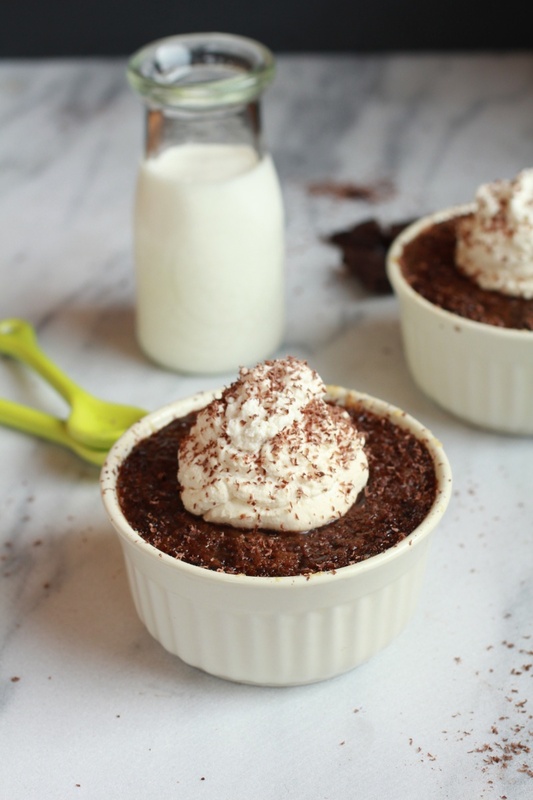 Dark Chocolate Creme Brulee with Vanilla Sugar … yummm. Image from halfbakedharvest.com. Without context, not much of meaning is accomplished. Anyway … that little comparison issue didn’t stop a group of a half-dozen political scientists from applying their DW-Nominate ranking system used for members of the House and Senate to presidents from Harry Truman through Obama. Using that system, their chart showed that Obama was … not the most liberal (that would be Jimmy Carter). In fact, they determined that Obama was the most moderate of the Democratic presidents charted, closely followed by Lyndon Johnson. Famously moderate Bill Clinton was fourth, behind Truman. Not that the rankings mean that much. It’s easier to figure out where members of Congress stand, as long as you ignore what they say in their campaign ads and check their actual votes. Checking that DW-Nominate chart of partisanship in the House and Senate since the beginning of the country is very enlightening, but deeply disturbing as well, especially when you notice the entirely too large dark spots of extremism. So many of the ads make a big deal about voting with one’s party, but where they get those numbers is a bit of a mystery. I think it’s more important to check out their votes on specific issues, but the percentage of votes with the party is a good measure of moderation. In that vein, let’s check out OpenCongress’ ratings of party-line voting for Arkansas’ delegation. 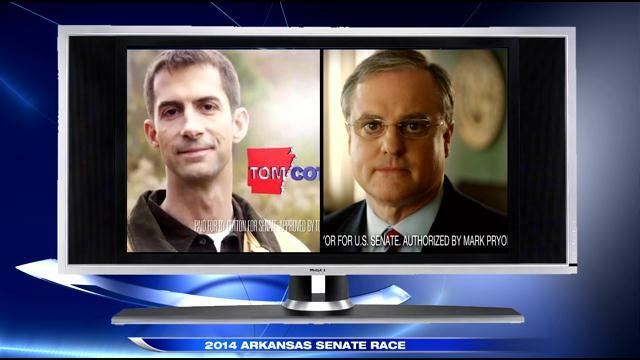 Both Cotton and Pryor have stretched the truth or outright lied in their campaign ads. Image from KATV, Channel 7, Little Rock. Such disengenuousness gets on my last nerve. And it irritates me even more when people believe this stuff without checking out what really happened. Kinda like the people who believe that no one read the Affordable Care Act before it was passed (thanks, Nancy, for providing Fox with such a misleading out-of-context quote). The illogic of that statement, especially considering how long it was in the works and how many amendments were added (many by Republicans), is astounding, but entirely too many people still believe it, which makes me fear for the world. When I see an elected official who is more moderate, that tells me that that person is more likely to be willing to bargain for what works for more people in order to actually accomplish something other than gridlock. Compromise? The greater good? Them’s fightin’ words! Image of bare-knuckles fighter John L. Sullivan from Wikipedia. Standing up for principles is one thing; standing in the way of anything getting done and thus hurting everyone is quite another. No one can get everything he wants unless he’s the only person in the world. Since there are seven billion of us now …. uh … I think that ship has sailed. So here’s my proposal, since extremes in politics have a way of blowing up in our faces and miring us in bitterness and gridlock: Let’s embrace the middle again and recognize that it isn’t evil. Mischievous, yes; goofy, certainly. Evil? Eh, not so much most days. Be willing to listen (actually listen) to others and admit that perhaps they might have a point. Stop insisting on the “fer us or agin us” model and realize that we’re more alike than politics in D.C. might indicate. This isn’t just me, though: An Esquire/NBC News poll released in February showed that 51 percent of respondents of all political stripes found much common ground even while D.C. becomes more polarized. Why, then, are we electing people who don’t share our beliefs? We only have ourselves to blame. 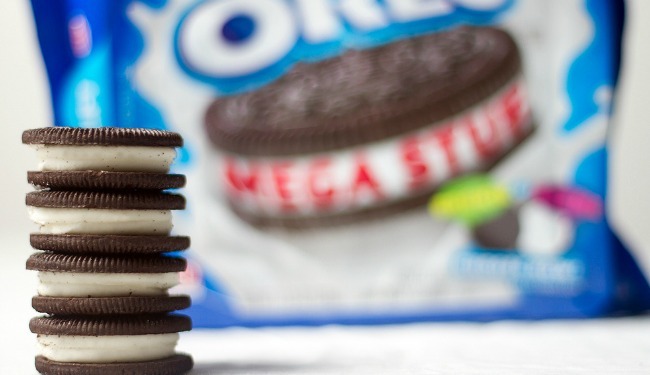 Mega Stuf Oreos (Ricardo Velasquez/flickr). Let’s take back the middle. After all, the middle is the best part of an Oreo. And without the tasty goodness in the middle, a sandwich would just be two dry, boring pieces of bread. I’m sorry, I have to have my chicken-bacon-ranch sammich.